They told me they can except only sole. We had only US $. Ultimately they exchanged dollar to soles, but exchange rate was so low, we lost almost 40 dollar. 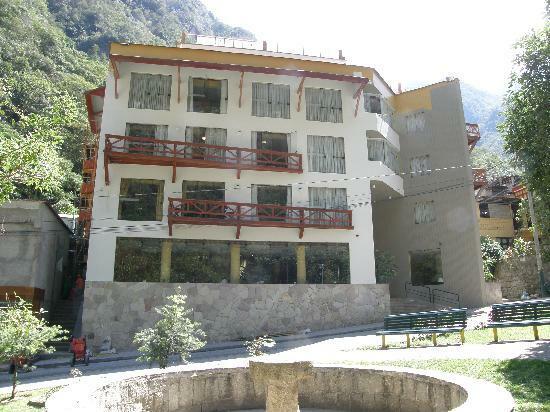 Hatuchay Towers Hotel is located on the bank of river Urubamba in the town of Augus Calientes, only a few meters from bus station where buses depart to the Inca citadel. The best thing about this hotel is you can have nice view from the balcony of this hotel. See the picture below. 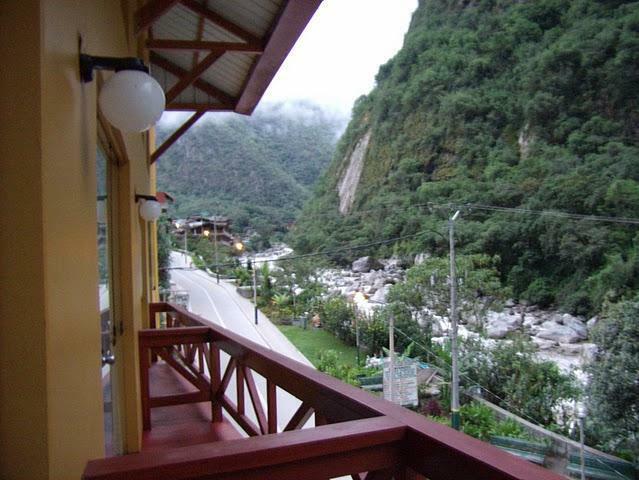 Also the gorgeous sound of Urubamba river is a bonus. BUt the bad side is that this hotel is comparatively expensive, but quality is just same as others. Though Hatuchay Towers is very close from the bus stations, don't be happy, because , if you are in one of the few rooms which are close from the bus stations, you may not like the hotel at all, since it is very noisy since early in the morning, when the buses start to depart. If you have reservation in this hotel porters will be at your service on your arrival and departure from this hotel. ( But the problem is if you do the reservation early, they will charge you more, in low season, it is better not to do any reservation and reach there). They demand this hotel to be a three star category hotel. Certainly amenititees are better than most other hotels, which include satellite TV, panoramic elevator, electric power generator covering 100% hotel operation, 24 hour room service, suits with Jacuzzi, internet room, international quality cuisine etc. 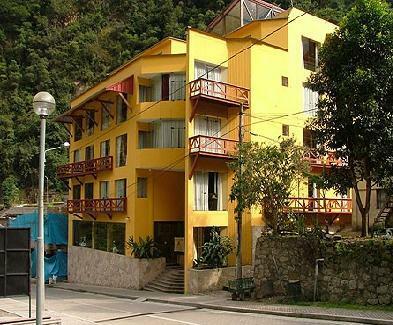 and is just 10 minutes walking distance from the local train station and the handicraft market. This hotel is expensive, if you are looking for luxury then only think about this hotel. Unlike most other hotels they will charge you for person, not for room. So if you are two, then check the room rate carefully. Here rooms starts from US $240.00. But they offer time to time deals, on three nights stay. So check their website. The 5 storied hotel building commands panoramic view on all floors and it's 42 rooms are fitted with comparatively modern comforts. The rooms which are situated on the sides close to the bus station are a little noisy, as from early hours of the day the buses start to run and continue until the day is over. Another thing is that you will not get internet access in every room, they have internet service only in the lobby.